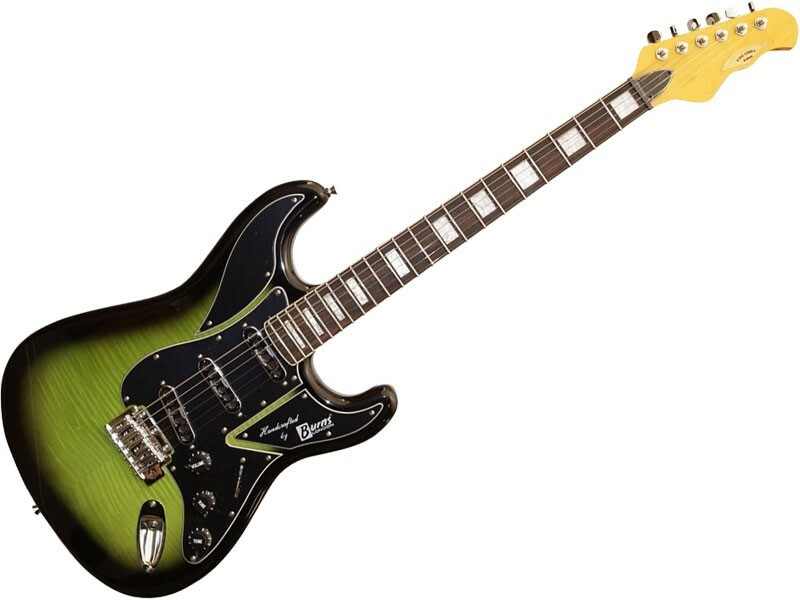 The Burns King Cobra guitar is based on the '90s Drifter Custom and the double-cut body shape has a full and rounded form reminiscent of the '70s. 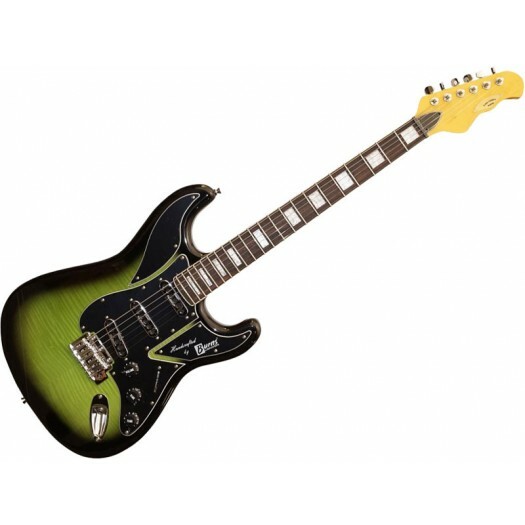 The neck's gloss polyurethane finish is wider and flatter than the Fender equivalent of that era and the medium-gauge fretting is excellent and the white edge binding adds a finishing touch. While many contemporary Burns fingerboards are buffed to a shine, this one exhibits the even dryness you would expect from quality Indian rosewood. One of the uniquely features of the King Cobra is the trio of Mini Tri-Sonic pickups that are designed to emulate the classic, larger-format vintage pickup's sound but in a smaller footprint. JAMES ORMSTON BURNS (1925 - 1998) has often been described as the 'British Leo Fender' a well-deserved and apt title because there are many parallels to be drawn between the two men. The BURNS LONDON company is run by Barry Gibson (no relation!) but is very much a team effort. We at Burns London have always been big fans of Burns guitars, and we know a thing or two about quality guitar construction as well. You may also be interested to know that we purchase all our British beech and sycamore from sawmills that support the Timber Trust Federation (TTF) Forests Forever campaign.